I notice my last post was written in April this year — five months ago. Seems a lot longer to me. 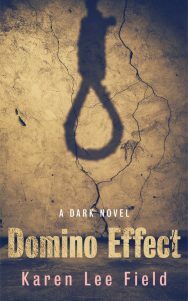 Things continue to be difficult, draining, and I continued to not write. However, thoughts of writing remain with me. 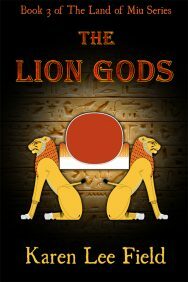 I find myself looking at book covers and wondering if The Lion Gods or Domino Effect would suit them. Scenes of their plots play out in my mind. Character faces (how I imagined them when I wrote about them) pop up unexpectedly for a fleeting moment. Difficult scenes I need to write twirl around and fly away. I’ve even found myself on Pinterest reading writing tips and saving them to my writing board. The urge to write is growing. I feel it will happen soon. It makes me happy to think and believe this to be true. October will be the start of (another) new chapter for me. Between now and then I will move (again). When I unpack my belongings, which have been boxed up and stored away for over three years, I will hopefully be living in my forever home. I intend to set up a writing space for myself. I have promised myself that when I get that space, I will write. Yes, I will write. My plan is to start with a short period of time, or a low word count. 10 minutes a day sounds good to start with. No pressure. Then I will allow myself to increase that to half an hour and eventually to an hour a day. The promise I made to myself does not go beyond that. One hour a day. No pressure. I want to write because I want to, because I have a story to share. Not because I have to.